People hungry for both hamburgers and video games will be interested to learn of a new promotion running over at popular fast food chain McDonald's. 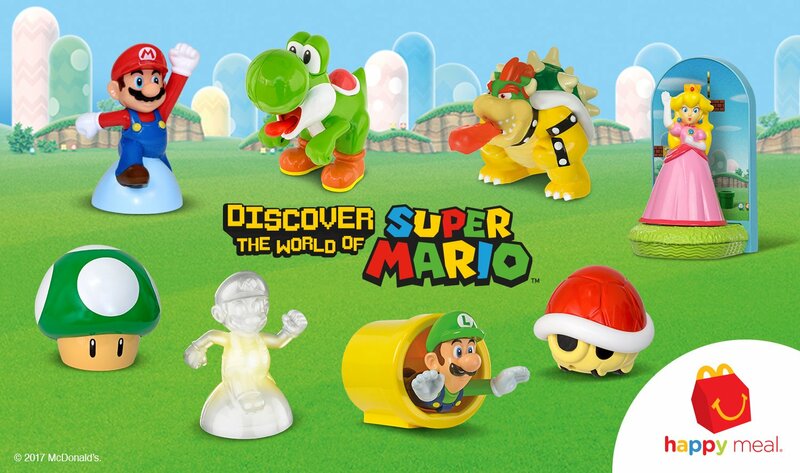 The restaurant has teamed up with Nintendo to offer new exclusive Mario-themed toys that are being given away with their signature Happy Meals, and to sweeten the deal, they're giving away a chance to win a Nintendo Switch as well as a copy of Mario Kart 8 Deluxe. As is the norm these days, there's no purchase necessary to enter the McDonald's Nintendo Switch giveaway. Players who want to win and perhaps aren't keen on McDoubles can enter the contest through e-mail. One e-mail entry is allowed per day every day until the contest ends on May 22. Of course, anyone who doesn't mind the buying the occasional burger and enjoying free toys will have greater chances to win: any purchase made at a McDonald's restaurant that's registered in the McDonald's mobile app will grant one entry to the sweepstakes, whereas any purchase of a Happy Meal will earn the customer two entries to the sweepstakes. How Many Nintendo Switch Systems Will Be Given Away? 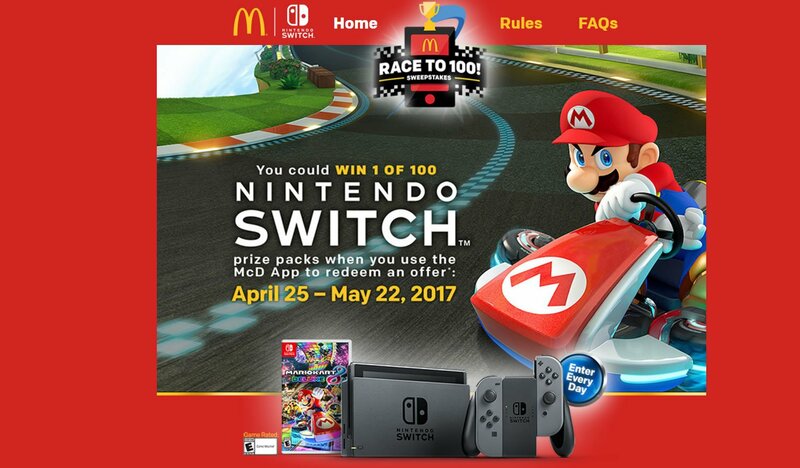 Any players who might be worried that they've got little chance to win a Nintendo Switch can fear not, as McDonald's have announced that they've got 100 total bundles that will be given away as part of the sweepstakes. Sure, the chances of winning still may be slim, even with 100 Nintendo Switch systems to give away, but on the other hand, the Nintendo Switch is pretty hard to find in general. It may be that eating a couple of Happy Meals is the easiest — and technically far less expensive — way of picking up Nintendo's latest console. If you're struggling to find a Nintendo Switch and aren't keen on fast food, we've got a detailed guide on how to use BrickSeek to find a Nintendo Switch at a retailer near you.